Order your own copy of the Slave I Expansion Pack at your local retailer or online through our website today! In the Slave I Expansion Pack, you’ll find a fully assembled and pre-painted Firespray-class patrol craft miniature, as well as all the components you need to seamlessly incorporate one of these highly customizable ships into your Scum squadron, including six unique pilots and twelve upgrade cards to outfit your ships as you see fit. 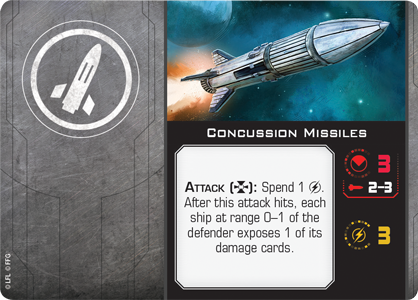 Veteran players can bring their existing Firespray-class patrol craft and other Scum ships from the first edition into X-Wing Second Edition with the tokens, cards, and maneuver dials found in the Scum and Villainy Conversion Kit! 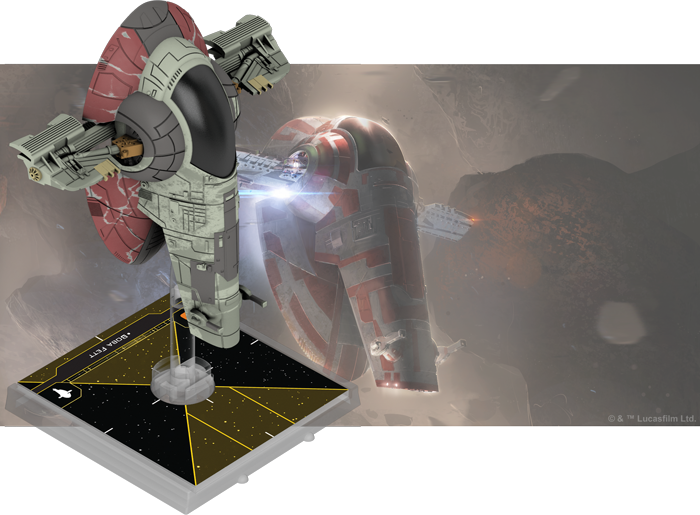 This kit will be available when the game launches on September 13th, 2018, and all of the ship and upgrade cards found in the Slave I Expansion Pack will also be contained in this kit. 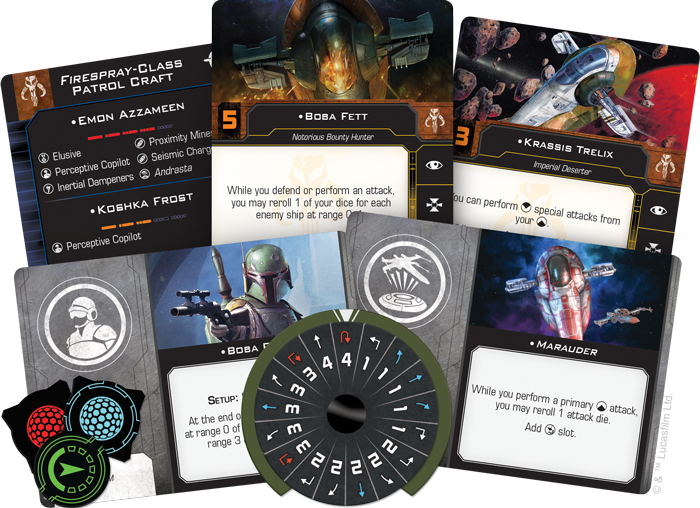 New players, on the other hand, can expand their ship collection with the six other ship expansions launching alongside the Slave I Expansion Pack and the Core Set! Boba Fett might be the most recognizable name associated with the Firespray-class patrol craft, but he is far from the only member of the galaxy’s seedy underbelly to choose the craft. Originally designed for law enforcement purposes, the Firespray quickly became a favorite of bounty hunters, pirates, and other criminals, thanks to its robust chassis that offered plenty of space for additional weaponry and other modifications. This customizability meant that the Slave I wasn’t the only prominent ship prowling the stars using the Firespray-class patrol craft as a starting point. 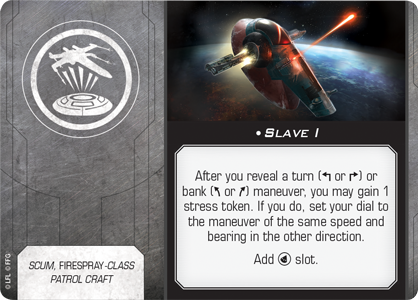 As a result, the Slave I Expansion Pack includes three Title upgrade cards that foster different approaches to piloting the ship. Boba Fett himself isn’t afraid to face down groups of enemies up close. In fact, he can reroll one die for each enemy ship at Range 0–1 while defending or performing an attack, giving him better odds of succeeding when there are more enemies nearby. This should be of little difficulty if Boba Fett is flying his personal ship, the Slave I. In addition to adding a torpedo slot to the ship, this title gives you the ability to quickly alter your course after revealing a turn or bank maneuver. No matter who’s piloting it, the Slave I has the extraordinary ability to make use of its red Reinforce action and reduce the damage it takes by positioning enemy ships in front of or behind it. 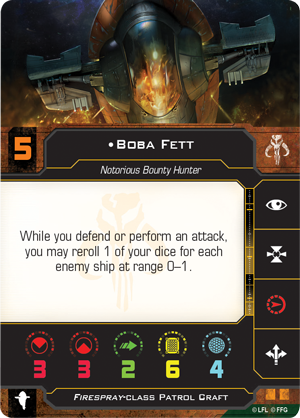 While Boba Fett prefers to take advantage of the three attack dice provided by the Firespray’s front and back arcs, the ship also allows pilots like Emon Azzameen to make use of the devices they can plant in their opponents’ path. 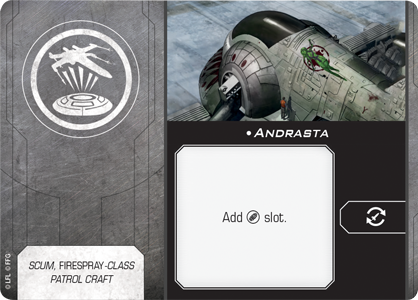 Not only does Azzameen have more flexibility where he drops devices than other pilots, his ship, the Andrasta, has an extra device slot and the ability to reload any missiles or devices he may be carrying. 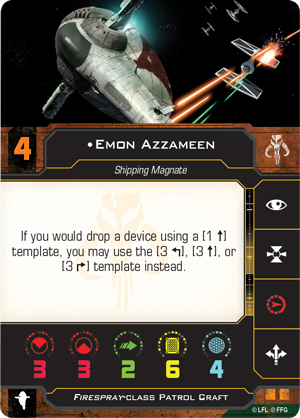 Emon Azzameen uses the three-turn template to drop a Proximity Mine directly in the path of a pursuing T-65 X-wing! This extra slot dedicated to devices means that Azzameen has the ability to litter the battlefield with a mixture of bombs and mines, including the particularly deadly Proximity Mines. 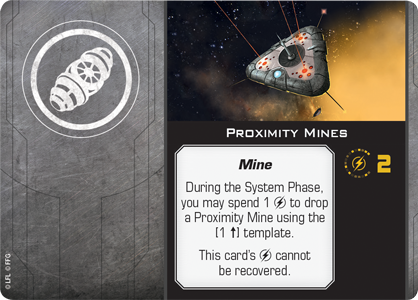 Unlike bombs that detonate at the end of the Activation phase, a Proximity Mine remains in play until a ship overlaps or moves through it. 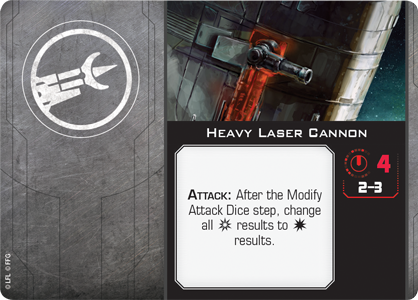 When this happens, the ship that triggered it rolls two attack dice and suffers regular or critical damage for each matching result! Still other pilots, such as Kath Scarlet, use those under their command for their own personal gain. She fires freely at enemy ships that are close to her squadmates, rolling an additional attack die when there is at least one friendly non-limited ship at Range 0 of the defender. This attack could be even more potent while she’s piloting the Marauder. 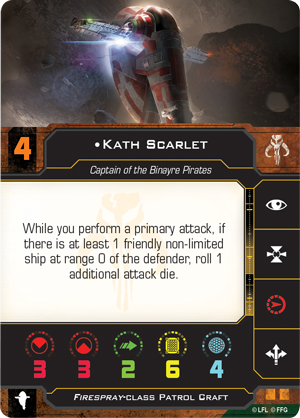 While Kath Scarlet is piloting her signature ship, she can reroll an attack die while performing a primary attack from her rear arc. 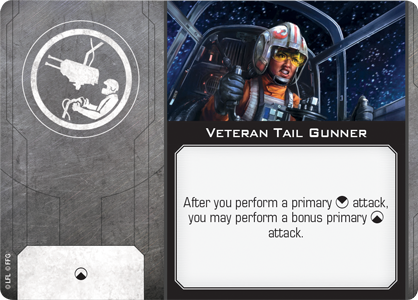 What's more, this title also gives the Firespray a gunner slot that can be filled with Veteran Tail Gunner, potentially giving the ship two attacks if you’re able to line up shots from both your front and back arcs. While piloting an infamous ship like the Slave I or the Marauder is certainly enticing, you can also use the Slave I Expansion Pack to fully customize your own Firespray-class patrol craft. 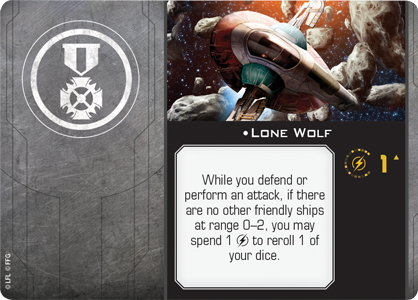 Able to carry cannons, missiles, devices, crew members, illicit upgrades, and modifications, the ship you create will almost assuredly be powerful enough to be able to operate as a Lone Wolf, away from friendly ships. Beyond this, some pilots encourage you to outfit your ship with certain upgrades. 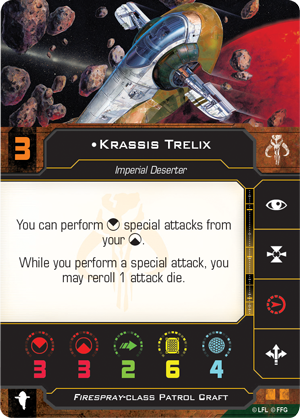 If you add Krassis Trelix to your squadron, for example, you can launch a salvo of Concussion Missiles from your back arc, potentially damaging one ship and forcing others nearby to expose a damage card. No matter which arc he uses for a special attack, Trelix has a better chance than most of making the best use of his special weapons. 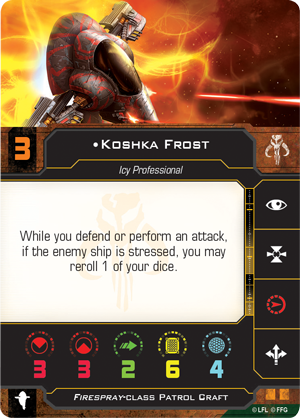 Koshka Frost, meanwhile, has a more general purpose ability—she gains a reroll while attacking or defending if the enemy ship is stressed, encouraging her to put as much pressure on her opponents as she can. Of course, she'll be able to do this from the very beginning of the game if she decides to add Boba Fett as a crew member. 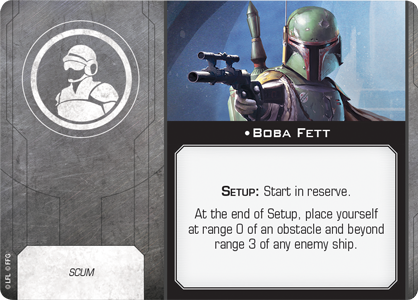 Much like he did while tracking the Millennium Falcon in The Empire Strikes Back, Boba Fett lets you to conceal yourself on an obstacle at the beginning of the game, potentially forcing enemy ships to resort to red maneuvers earlier than expected. 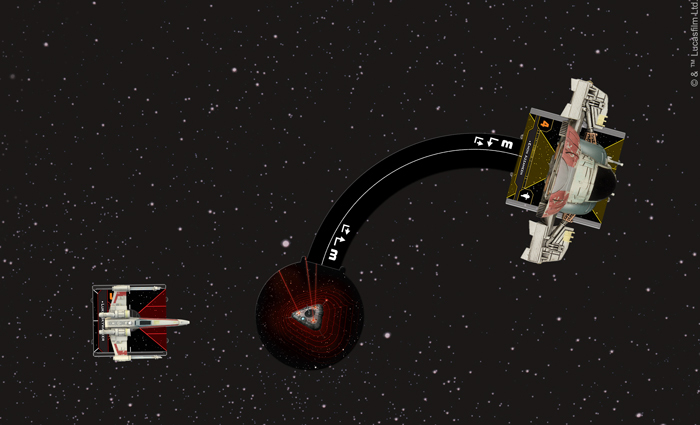 And if an enemy ship appearing from an asteroid or debris isn’t enough to stress out an enemy pilot, being chased by a ship armed with a Heavy Laser Cannon certainly will. Although you must have the target in your bullseye arc to use this weapon, it gives you four attack dice, one of which could potentially be rerolled with Koshka Frost’s ability. 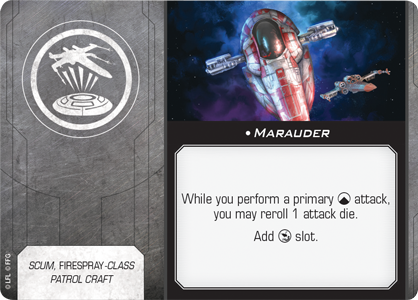 Whether you’re tracking a target to the farthest reaches of the galaxy or engaged in an intense dogfight, the Firespray-class patrol craft provides the firepower to get the job done. Outfit yours and track your mark with the Slave I Expansion Pack! 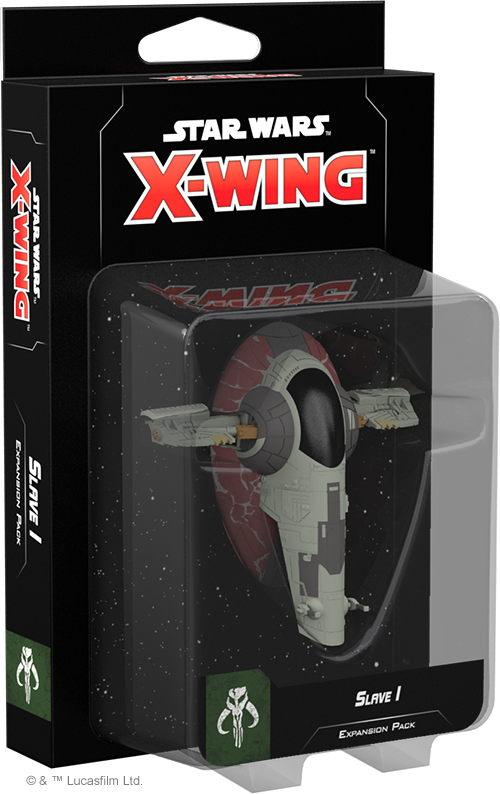 The Slave I Expansion Pack (SWZ16) is releasing alongside the X-Wing Second Edition Core Set on September 13th, 2018. Pre-order your copy at your local retailer or online through our website today!